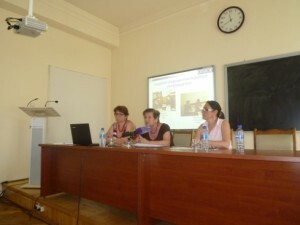 On June 2 2016, AWHHE organized a seminar at the Yerevan Aarhus Center to discuss the problem of endocrine disrupting chemicals. 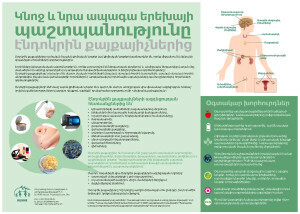 The experts from the “Republican Center for Veterinary and Phytosanitary Laboratory Services” of the Ministry of Agriculture of Armenia made an introductory presentation on the laboratory tools to research chemicals in various substances. The experts also highlighted the methods used for analysis of breast milk samples (gas chromatography and other high purity analytical standards). The seminar was attended by 20 participants representing the state authorities, ministries, environmental NGOs and the media. 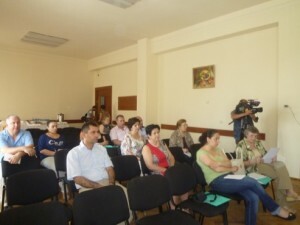 This seminar was conducted in the frame of two projects, GGF Small Grants (http://awhhe.am/the-project-supported-by-ggf-related-edcs-issues-in-armenia/ ) and the present project. 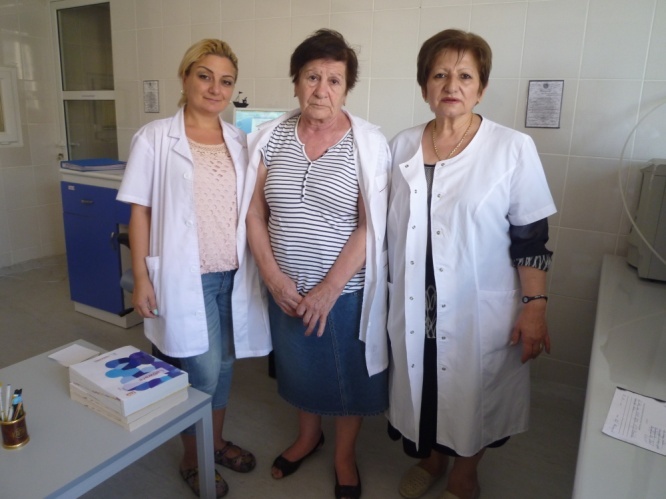 In the frame of the project, AWHHE conducted sampling analysis of breast-milk. A total of 24 samples of breast-milk and 2 of cow milk were analyzed for residual concentrations of DDT and its metabolites, HCCH and its isomers, as well as for 2,4-D pesticide. Laboratory analysis showed that the samples contained residues of the above-mentioned chemicals. The results were compared with a similar research by AWHHE in 2004. The comparison showed a significant decrease (by 3 times) of the residues of DDT and HCCH and the metabolites from 0.09 mg/kg lipid to 1.01 mg/kg lipid. One of the main factors contributing to this decrease is AWHHE’s long-term public education efforts related to pesticides usage in agriculture. However, an alarming sign was that 2,4-D (dichlorophenoxyacetic acid) was detected (up to 0.02 mg/kg lipid) in breast-milk for the first time. On 22 March 2016, AWHHE sent an appeal to the Ministry of Agriculture on promoting action on a list of highly hazardous pesticides (HHPs) which are considered to be EDCs. 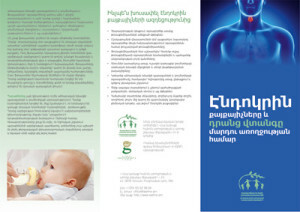 On 10 July 2015, a round table discussion on EDCs was organized with 20 participants representing the Ministries of Agriculture and Health, OSCE office in Yerevan, as well as NGOs.